describing a process of clarification, conflict resolution & group commitment. 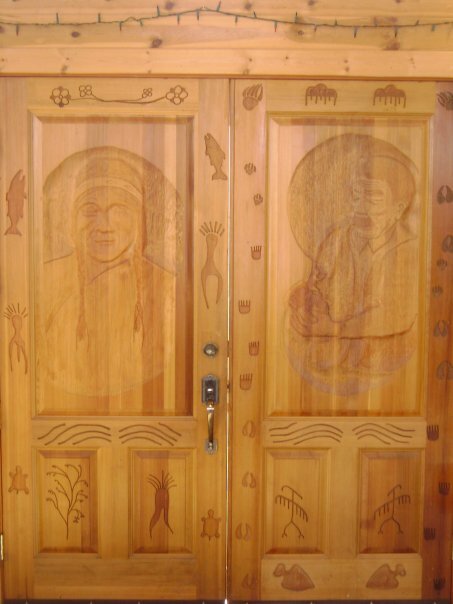 The En'owkin Centre Governed by the Okanagan Indian Educational Resources Society En'owkin. The En'owkin Centre (hereafter referred to as En'owkin) is a dynamic institution, which puts into practice the principles of self-determination and the validation of cultural aspirations and identity. 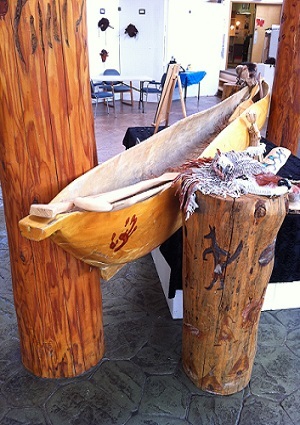 An Indigenous cultural, educational, ecological and creative arts organization, En'owkin plays a lead role in the development and implementation of Indigenous knowledge and systems, both at the community and international levels. The word En'owkin is an Okanagan concept, which describes a respectful dialogue of clarification, conflict resolution and group commitment, to come to the best solution; essentially, consensus. Located on the Penticton Indian Band reserve, En'owkin's unique building design reflects a traditional Okanagan winter home also known as a pit house. It is a gathering place where families and community members can replenish themselves spiritually and is also a teaching place where story, co-operation, craft and artistry come together. En'owkin's faculty is comprised of highly qualified educators, professional artists, writers, facilitators and Indigenous peoples advocates. En'owkin provides a culturally sensitive learning environment in a nurturing and challenging atmosphere. En'owkin hosts many regional, national and international conferences and forums related to Indigenous education and culture as well as environmental concerns, which students are encouraged to participate. 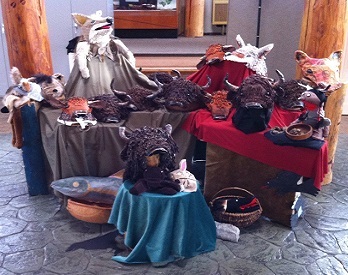 En'owkin has also partnered with many organizations in collaborative works which benefit the Okanagan Nation. Operate a quality First Nation Post-Secondary Institution offering educational programs to enhance Aboriginal culture, language, political development and leadership and excellence in Aboriginal arts training. Operate a quality Aboriginal Adult College Readiness Program to assist in adult completion of requirements and skills to enter programs of higher learning. Operate a program for culture and literacy, archives, and educational resources for the benefit of all peoples requiring such information. Operate and offer umbrella services to language, culture and arts associations and collectives to encourage and foster higher levels of professionalism. PROVIDE the educational needs and programs of the Indigenous people with full participation by the Elders, the parents and the community. ENHANCE the mental, physical, emotional, spiritual and social needs of our people by preserving and reinforcing Indigenous culture, practice and teachings. DEVELOP and implement community based education programs, which focus on the needs of the Indigenous community and are controlled and monitored at the community level. RESTORE the Okanagan language to its rightful place as the communicator of the culture, under the guidance of the Elders. As Indigenous people, the Creator has given us a way of life and natural laws, which govern our relationship to all living things. The Creator has entrusted to us the responsibility of being 'keepers of the land' of living in harmony and oneness with each other; and maintaining a balance with all things in the environment. Our knowledge and customs are understood and practiced through our relationships to our land and in the way it protects and ensures our continuance and survival. Our Mother Earth is a living embodiment of our spirituality and nourishes us in all ways: physical, spiritual, mental and emotional. Our spirituality is a sacred trust. The values of our people are contained in our teachings. It is through our values that we live under the instructions of the Creator that form the foundation of our survival. Therefore, our sacred responsibility is to protect our spirituality, culture and land.